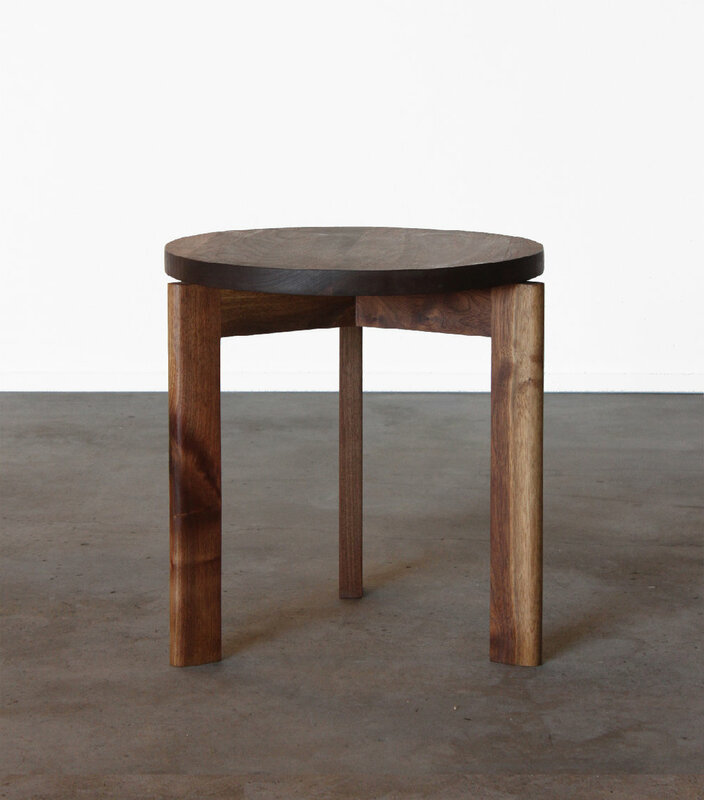 Our Sunfair Side Table is designed as a effortless, warm and simple item for the modern home. A three leg base connecting with clean angles and rounded detail. We had this table in mind as companion to our Boyd Leather Lounge Chair. Shown in solid walnut base and top. Designed and made entirely in our workshop in Joshua Tree, California. Each piece is custom made once order is placed. There is a 4-8 week lead time on all orders, depending on size scope and material in stock.